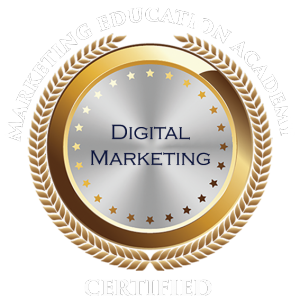 This certificate program prepares students for developing, or re-engineering, a modern marketing plan by leveraging new developments in the digital marketing mix based on Benny Traub’s ‘Golden Funnel Formula’. The Golden Funnel Formula leverages principles of relationship-marketing and is based on the common-sense premise that people would rather do business with people they know. The strategies and tactics in the formula are designed to attract, capture and cultivate new relationships using the major digital platforms, then maximize conversions by including marketing automation to reduce manual labor and move prospects through the sales funnel with minimal effort. 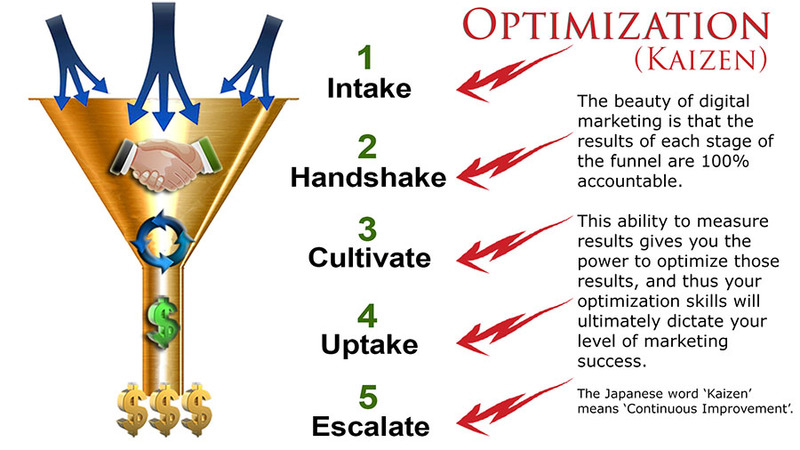 The formula separates the marketing mix into five major components, briefly described below. The course also includes a foundational module which covers targeting, accountability, and conversion rate optimization. This core module you will learn the secrets of 'Kaizen', the Japanese word for 'Continuous Improvement', the true secret for long term marketing success. You will discover powerful tactics that will help you optimize your results in systematic, incremental steps. This module focuses around proven 'Intake' strategies, and the fine art of attraction. Discover the best ways to get the word out and attract the attention of qualified buyers in higher numbers. In module 2 you will learn Handshake strategies which are essential for getting qualified prospects to respond and identify themselves (i.e. the 'handshake'). This is where most campaigns fail and Benny shows you how to master this mandatory component of lead generation and digital marketing. This module revolves around the Cultivation strategies which are essential to maximizing conversion rates. Research tells us that most prospects are not ready to buy immediately. This module teaches expert techniques for using lag time to build trust, educate and communicate your value proposition. In module 5 you will learn the secrets used by top marketers to close transactions in higher numbers, and for higher dollar value. Topics include The secret of the 'Extra Value Proposition' (EVP) and how it multiplies conversions with almost no extra effort, How to light a fire under the prospect to get them to pull the trigger, and more. In module 6 we explore and learn twelve systems for increasing the lifetime value of every relationship, as well as how to create 'Drip' income that never stops, even from people who would otherwise only give you a single transaction. A father, husband, serial entrepreneur, master marketer, and above all, a dedicated mentor. Benny has started fifteen companies, taking two of them public with great success. He initially retired at age 37, but returned to the marketplace seven years later to continue business, and teach budding marketers. Benny has been through the testing fires of entrepreneurship, having lost close to a hundred million dollars in the dot-com-bomb to name one. He is the founder of the American Wealth Management Association and the founder of MarketingEducation.org. Benny was born in Vancouver Canada in 1963, and married his lovely wife Carmen Traub in 1990. 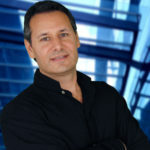 He currently resides in Los Angeles, CA managing and teaching with his time. In this course you will learn proven strategies for each stage of the digital marketing funnel. 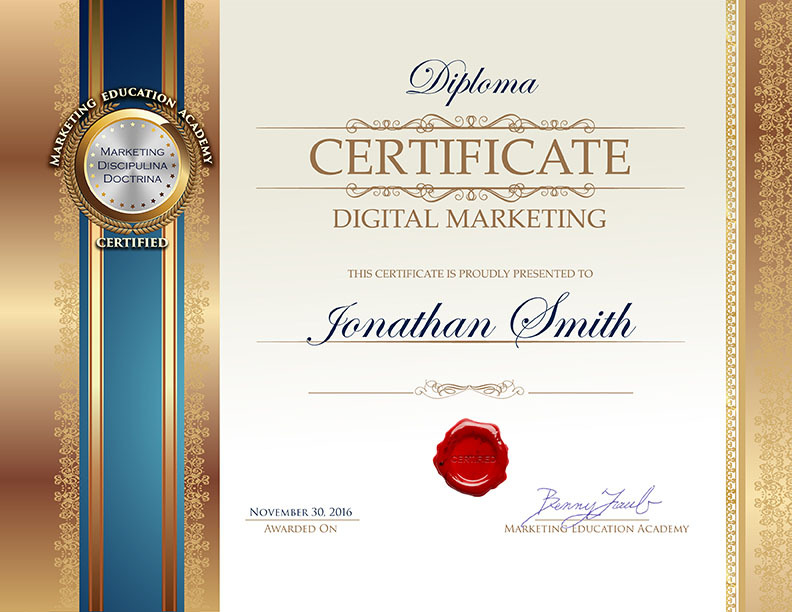 Receive a digital version of your Marketing Certificate for display on your Facebook page, LinkedIn page or website to inform colleagues of your achievement. 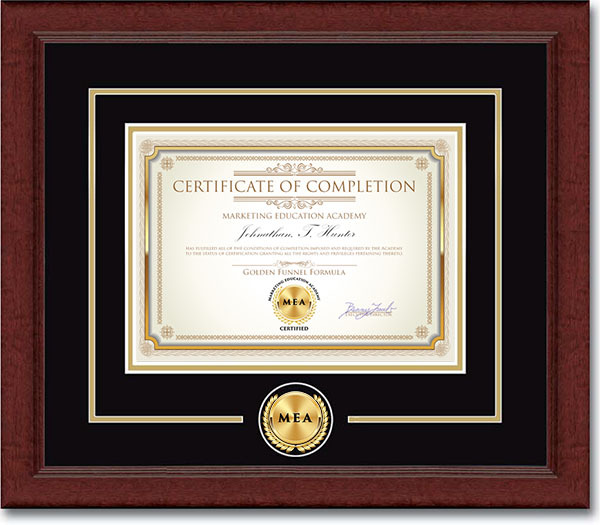 Your personalized, high resolution digital certificate is supplied by upon course completion. 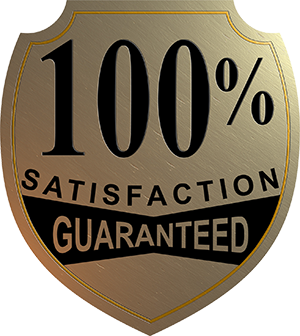 Display the Academy's Certified Trust Seal on your website to enhance credibility and ensure the world that you are a trusted member of the professional marketing community. A $1500.00 value. 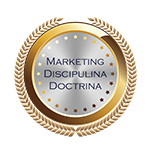 Enjoy all benefits of lifetime membership in the Marketing Guild of America. Collect primary email addresses and contact details of your best prospects directly from Facebook… with a single click. Any web manager can install this powerful tool and enhance your website into a lead capture. One-Click Lead Capture. Dramatically enhance online lead generation with the Secret Handshake. Any web manager can install this powerful tool and enhance your online lead gen efforts. See Details. Receive 60 days of free use of marketing automation platform, allowing you to automatically nurture up to 500 prospects at a time. A value of $9.00 per month which we credit to your account upon activation. We’ll set you up with on a platform which will enable you to freely send promotions to your best prospects. Enjoy weekly group coaching sessions for the duration of the course. Ask Benny your toughest marketing questions and he’ll provide the guidance. A value of $797.00 per month. One of the valuable outcomes of the program is a fully-developed, one-year marketing plan. Instructor Benny Traub will provide his template from the Golden Funnel Formula and you’ll customize this plan as you move through the training. Benny normally charges $12,000.00 for a customized plan such as this. You’ll be able to use this as a template for every plan you ever develop. We want you to be happy. Reserve your spot today and immediately start benefiting from the bonuses, marketing tools and lessons. Complete the training and exercises and successfully finish the program risk-free. If, for any reason don't see a measurable improvement in results, just let us know (after completion, but within 120 days of initial enrollment). If we can't IMMEDIATELY show you how to turn up the results, we'll refund you 100%. It's as simple as calling our customer service department at 323.761.2241 or sending us a refund request email to support@marketingeducation.org.